Vegan wine, premium sake and cannabis infusions are some of the wine trends soon to hit our glasses. This year promises similar contrasts, surprises, and the continuation of some of last year’s trends. If you think everything pink to drink has already happened, for example, you would be wrong. Rosé sour beer is about to be a thing, while rosé love is even hitting sports figures such as basketball All-Star guard Dwyane Wade. His wine project with Napa winemaker Jayson Pahlmeyer released its first rosé at a very pricey $75. Expect the link between technology and wine to expand, with new fine wine trading apps, AI, robots in vineyards and more. Ditto more good bubbly, from just about every wine region in the world. The rediscovery of old, abandoned vineyards and embrace of forgotten varieties will continue to feed our voracious thirst for tastes beyond the classics-and may reveal useful ways to adapt to climate change. Chile, for example, is working to rescue ancient vineyards planted by Spanish explorers centuries ago, as well as resurrect old winemaking techniques. Agricultural engineer Max Morales, at the forefront of efforts, is also helping to create wines from them. Unfamiliar native and hybrid grapes, such as pais, Marquette, petite arvine, and zibibbo are in your future. Don’t understand the appeal? Dip into one of 2018’s most entertaining wine books, Godforsaken Grapes. The first time I tasted marijuana-laced wine was a decade ago in Mendocino, where a handful of winemakers (my lips are sealed) surreptitiously infused pot cuvées for themselves and their friends. With the legalization of pot in California, Canada, and elsewhere last year, wine and weed mixes are coming. Canadian investment bank Canaccord Genuity suggested to Business Insider that marijuana-infused beverages could become a $600 million market in the U.S. in the next four years. Constellation Brands has already invested in cannabis companies. Among the first is Sonoma’s Rebel Coast Cannabis Infused Sauvignon Blanc ($60), with about 20 milligrams of THC in each bottle. Legally you can’t mix alcohol and THC, so the alcohol has been removed. As a result, a glass of this wine has only 35 calories (not 150 as with regular wine) and is sold only through licensed California THC dispensaries. Bring on the buzz. . . . Cool regions aren’t necessarily cool anymore. Some wineries, like that of the famous Catena family in Argentina, see one solution in planting vineyards at much higher altitudes. Others are heading farther north to more marginal climes. You’ll see more wines from both locations in 2019. Wines from Idaho (and even Minnesota) are promising, and famous Rhone Valley winemaker Louis Barruol is creating delicious pinot noir in New York’s Finger Lakes district. One new, much buzzed-about winery, Pinard & Filles, is hunkered in icy Quebec, and a few of the winery’s cuvées, championed by natural wine aficionados, are now available in the U.S.
You’re trapped in place for hours on end as you hurtle at 35,000 feet toward your destination, and really, watching movies can hold your attention for only so long. Why not enjoy a wine experience? Global private jet company VistaJet is the first to completely cater to your wine passion, but other private airlines will surely follow. VistaJet has studied the effects of air pressure and air quality on wines served on board and chosen accordingly. Their new wine program also includes blind tastings, bespoke wine tours for the perfect detour (such as three days with Marchesi Antinori at his estates), and even a concierge to help you buy en primeur. The focus on health and wellness is making veganism one of the fastest-growing consumer trends, with sales of plant-only foods rising 20 percent in the U.S. in 2018, to $3.3 billion. This fringe-to-niche development will lead to more vegan-friendly wines, with key info on the label. In 2018, U.K. retailer Majestic Wine added vegan (and vegetarian) symbols to the information for each wine on its website. When the chef de cave of Dom Pérignon says his next project is making sake in Japan, you know big change is coming. Richard Geoffroy, who spent 28 years as the winemaker of DP, retired at the end of 2018 and is working on a joint venture with sake brewery Masuizumi that will launch in September. Sophisticated, premium examples of sake are just beginning to be the darlings of sommeliers in non-Japanese restaurants, where they turn up on tasting menus and wine lists as alternatives to wine. And as if to underscore the drink’s coming importance, glassmaker Riedel introduced a new Junmai glass last spring, designed for this category of very complex sakes. Buying wine could involve much more than grabbing a bottle at your local shop. The latest from Vivino is a way to scan a bottle you’re enjoying in a restaurant, purchase it, and arrange to have it delivered to your home, all in under a minute. Self-serve booze vending machines will surely be part of your future, especially for wines in cans and, as at the Mama Lion supper club in Los Angeles, for 187-milliliter splits of Champagne. Brick-and-mortar stores will woo your actual presence with fun in-shop experiences like those at London’s Harrods, whose luxurious new Fine Wines and Spirits Rooms offer sniffing at an aroma table and interactive info play. And anticipate more ways than ever to get your hands on rare bottles. 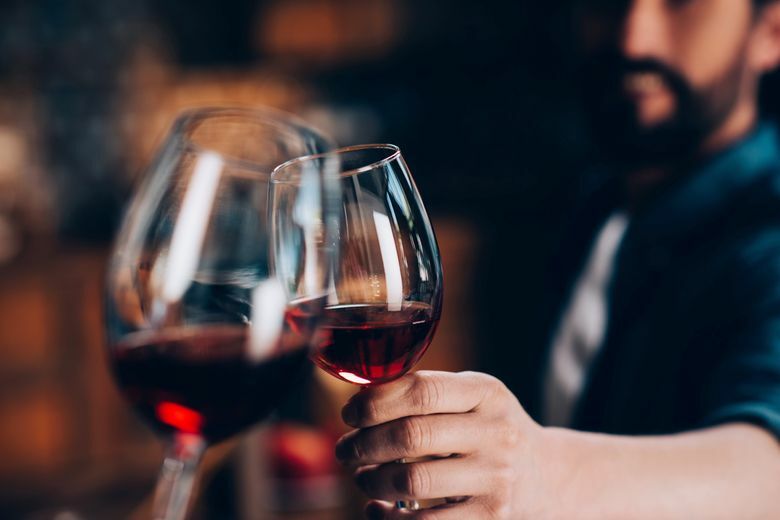 Renowned London retailer Berry Bros. & Rudd just launched its services in the U.S., giving American customers the chance to buy other clients’ wines through its BBX trading platform, while New York’s new Pressoir.wine looks like one-stop shopping for the serious imbiber. Besides the chance to buy difficult-to-obtain exclusive wines, it offers educational tasting sessions and bespoke wine trips.